Weight loss tends to be a major challenge. Even people that do successfully lose weight often find that they put it back on. To make matters worse, there isn't a single solution. Instead, there are many claims about the 'best way to lose weight', including fad diets and pills that don't actually work. More than anything, weight loss is about following a healthy diet and lifestyle - one that works for you. For some people, that may be a ketosis di﻿﻿e﻿﻿t or just low car﻿﻿b. For others, i﻿﻿﻿﻿﻿﻿ntermittent fasting may be the answer, or something like the Mediterranean diet. With that in mind, this page acts as a resource guide for products that can help you on your weight loss journey. On it, I highlight key items and show precisely why they are so relevant for losing weight and staying healthy. People do vary in what suits them. But, even then, the information here is a great starting point for figuring out what is likely to work for you. One of the most important parts of a healthy diet and lifestyle is the food you eat. Your specific options will vary depending on the diet you're on, but the options in this section are all powerful products from a particularly reliable brand. Plus, I can tell you from experience that they taste amazing. Despite the myths, red meat is powerful for health, particularly grass-fed beef. This company is a great way to buy grass-fed beef regardless of where you live. Plus, they have a strong emphasis on quality. Any type of fish is great for health and weight loss. But, one of the best options is wild salmon. At the same time, the fish tends to taste amazing. Even if you've only ever had farmed salmon, it's worth trying wild salmon for yourself. If you're going to cook healthy foods, choosing the right ingredients is critical. Again, some of these may not be relevant to you, depending on your specific diet. But, they are all powerful and worth considering. Olive oil is a key example of a healthy fat and one that should be part of any diet. Finding a good brand can be a little difficult but I recommend this one, which provides unadulterated extra virgin olive oil. Coconut oil is very relevant on a keto diet and is a healthy fat with health benefits. The oil is often used in cooking and baking, as well as for skin care - making it extremely versatile. Apple cider vinegar is commonly promoted as a weight loss aid, with many people consuming it daily. The evidence behind apple cider vinegar in this role isn't definitive but it is still worth trying. Olive oil is well-known as a healthy fat but avocado oil also has benefits and is useful for cooking. This is a great option if you want something a little different or are trying to vary the plant-based nutrients you eat. Turmeric is powerful for its ability to decrease oxidation and inflammation - promoting better health overall. It may also suppress the growth of fat tissue, reducing fat gain. Cinnamon has similar anti-inflammatory and antioxidant benefits. It also helps to lower blood sugar. This is powerful for people with diabetes and may help promote weight loss as well. Hot and cold drinks can also be efficient weight loss tools. In some cases, they simply work because the drink is satisfying and low in calories. But, some drinks also have ingredients that can help promote weight loss. The connection between coffee and weight loss is no secret - especially as the drink helps to suppress appetite and may also boost metabolism. Besides that, it is an extremely popular drink that offers considerable health benefits. In general, tea works well for weight loss, partly because it has few calories. But, green tea is connected to other health benefits, including promoting weight loss. This effect is associated with some of the plant-based compounds in green tea. Yerba mate is less common but it is another beneficial type of tea. As with green tea, some of the compounds in yerba mate may directly or indirectly help with weight loss. CocoaVia is a high flavanol version of cocoa, designed to offer more health benefits. Theoretically, the powder may also contribute to weight loss and it is also a healthy drink all around. 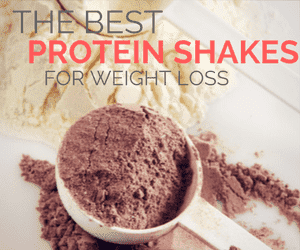 Smoothies also make powerful weight loss tools, especially if you use a high-quality protein powder as one ingredient. You don't need a large number of items to lose weight and live a healthy life. But, there are still some products out there that can make a large difference. If nothing else, many of these make being healthy more interesting and enjoyable. There are many different blenders and smoothie makers out there, with NutriBullet being just one option. But, it is an especially powerful choice and the design makes it particularly practical for making smoothies and meal replacement shakes. This ﻿type of bottle is a great way to increase your water intake and get nutrients from a range of fruits. Some people use the bottle exclusively for lemon water, while others play around with different flavor combinations and options. Spiralizers are a popular way to decrease your carb intake, allowing you to make noodle alternatives out of a wide range of vegetables. For some people, scales can be powerful for watching your weight and ensuring that your diet is successful. There is no shortage of great options out there and most have the same general functions. There really is no single correct way to lose weight - despite what fad diets like to claim. But, if you want to be successful, figuring out what to do is the first step. With that in mind, these cookbooks and guides are good starting points for a weight loss lifestyle. At the same time, they are also inspiring and can help you work out the best solution for you. This book has a strong focus on customized diets and working out how your body responds to different foods. As such, it doesn't offer a one-size-fits-all solution. Instead, Robb Wol﻿﻿f teaches people how to find their own best diet. There is also other useful information in the book, including recipes, shopping lists and meal plans. In contrast, this book is about a different dietary approach entirely - intermittent fasting. Through it, the authors highlight the different types of fasting diets and how to follow them. This makes the book perfect for anyone interested in learning more about intermittent fasting or in trying it out. A ketosis diet is a powerful way to lose weight, but the style of eating takes time to adjust to. This cookbook provides a great selection of recipes to get you started. Plus, the meals here are healthy even for people who aren't interested in ketosis itself. There is extensive research on the health (and weight loss) benefits of a Mediterranean diet and this book offers an introduction to the idea, along with many recipes. The diet is also particularly interesting for anyone who doesn't want to give up carbs. There are thousands of different weight loss supplements on the market - most of which make bold claims and don't live up to them at all. At best, a weight loss supplement may help reduce your appetite a little or slightly increase fat burning. But, the effects are typically on the small side. As such, supplements are only relevant in conjunction with a healthy weight loss approach, not instead of one. This means that you have to do the hard work either way. But, if you are interested in a supplement to help with weight loss, then these are the options that currently ​have the most scientific support. While their effects may not be revolutionary, they do have the potential to help in some cases. As green tea can help with weight loss, theory suggests that supplements can too. There is some research supporting this effect, including increased fat burning. Caffeine is connected to weight loss, which is a key reason to drink coffee. But, some people also focus on caffeine in supplement form. Doing so allows for higher doses and could result in more benefits. But, there isn't a large amount of evidence about the implications for weight loss. Ashwagandha is mostly used to increase testosterone. But, the supplement has other health benefits as well, including the potential to improve weight loss. This occurs through many mechanisms, including improving sleep, increasing energy levels and reducing stress. Melatonin isn't a weight loss supplement as such. Instead, it is mostly used to promote sleep. But, getting enough sleep is critical for health and weight loss. Melatonin is a safe and natural way to get the rest you need. Glucomannan is a type of fiber that sits in the gut. It can potentially make you feel fuller, resulting in a lower calorie intake. Some research does support this outcome when the supplement is used in conjunction with a healthy diet. But, the effects aren't large.